The chances of suffering from melanoma are quite high considering the fact that it just takes a total of 5 sunburns at any point of time in your life. With skin cancer being an extremely serious issue in America, I’m sure that most of you take this issue quite seriously. However, despite the widespread awareness of skin cancer and its causes, only 20% of the American population is known to wear sunscreen on a daily basis. Now, before you get all worked up, let me tell you that all you need are a few sun safety tips to protect your skin from the harmful UV rays and keep melanoma at bay. OROGOLD reviews some of the best summer sun safety tips that you should be following. The SPF of a sunscreen refers to the level of protection that it manages to offer against the harmful UVB rays of the sun. A higher SPF always ensures more UVB protection. Ideally, you should not be looking at anything below SPF 30. Most people believe that they can get away with SPF 15, particularly when they plan to stay outdoors for a short time. However, SPF 30 is the bare minimum that your skin needs. Remember, an SPF 30 sunscreen can only offer you adequate protection for an hour under the sun. So when you’re using an SPF 15, the level and duration of sun protection is automatically halved. The biggest difference is that an SPF 15 helps to filter out just 93% of the UVB rays, whereas an SPF 30 can filter out 97% of the UVB rays. 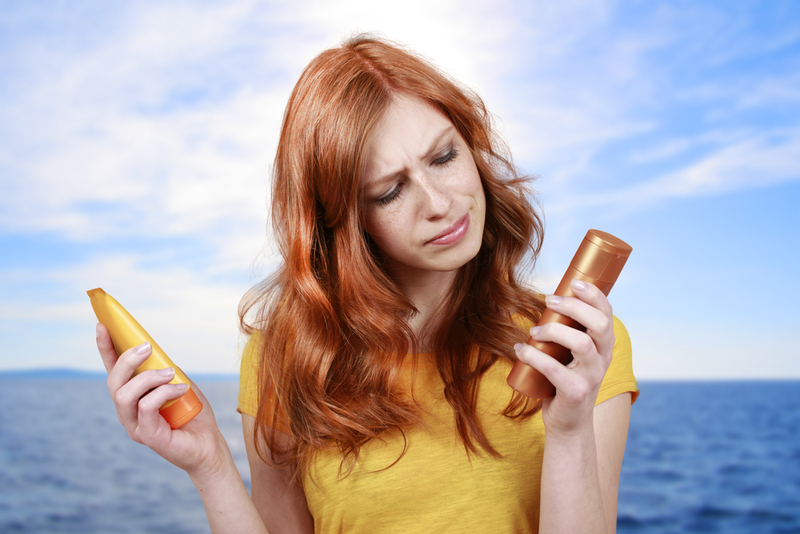 Don’t forget to ensure that you use sunscreens that have the “broad spectrum” label. These sunscreens help you to protect your skin against both UVA and UVB rays. You cannot apply sunscreens in the mornings and forget about them for the entire day. You need to apply and re-apply sunscreens based on the amount of time you spent outdoors. Ideally, you should re-apply your sunscreen lotions for every hour that you spend under the sun. Furthermore, it is important to understand that a 12-ounce bottle is only going to offer 12 applications. So make sure that you have enough sunscreen to last you a while. There is nothing called “waterproof sunscreen solutions”. Even though a sunscreen might claim to be waterproof or sweatproof, you need to understand that there is no formal basis for their claims. Don’t fall prey to such misleading claims and make sure that you apply sunscreens as soon as you’re done with your swims or exercises. It always helps to wear chemical sunscreens when you plan to spend more than 30 minutes under the sun as they are known to be more effective. The effectiveness of sunscreen wipes is still under review. Make sure that you think about the pros and cons before using such products. It always helps to consult your dermatologist when you’re unsure on what to do. Some people are known to require more sun protection because of their skin tone. For example, redheads, blondes and people with light colored skin tend to get affected by the sun more quickly than those with dark skin and dark hair. This is because of the lesser amounts of melanin found in someone with a lighter skin tone. So be sure to select the appropriate amount of protection to avoid sun damage.